Who Punched Who? | The Cineaste's Lament. ← Reel History: Is Ed Wood A Cardboard Cut-Out? 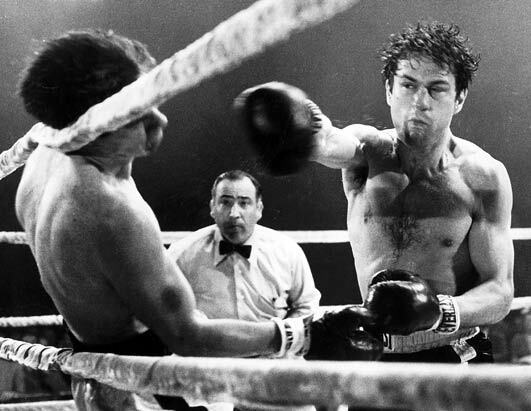 … will stretch your knowledge of on-screen pugilism to the absolute limit today with an online quiz challenging readers to match famous fight scenes to the movies from which they come. I could only guess a couple of them. See how you do. This entry was posted in action, B-Movies, Film Criticism, Film News and tagged Jake Motta, movie fight scenes, Raging Bull, Rocky IV. Bookmark the permalink.